Laura Phillips Abbott was raised in Korea. She married Rev. Paul Abbott, Jr. in 1935. She was an accounting supervisor at Campbell Soup Company in New Jersey after serving as a missionary in China. Alumnae Quarterly (AQ) August 1936: "Laura Phillips Abbott and her husband have been appointed to the China Council by the Board of Foreign Missions of the Presbyterian Church of the United States." AQ August 1937: "An interesting letter from Laura Phillips Abbott was received at the Alumnae Office, telling of the celebration of New Year's Day in Peiping. She also described the beautiful Lantern Festival. Laura started in the New Year as a language student, and says they have a good laugh every half hour. The Abbotts are spending the summer at Peitaiko, and expected to have all their parents with them." AQ February 1938: "On her Christmas card Laura Phillips Abbott said that she and Paul and their son were in Korea, her own old home, temporarily, waiting to return to China, and are still learning Chinese. Their life is sometimes fun - sometimes horrible - she wishes to be remembered to everyone." AQ February 1939: "The Abbotts are now in Nanking, China, where they are picking up loose threads and beginning their church work in the city until conditions permit them to go into the country. They are all fine and send best wishes to us all." AQ August 1939: "A letter from Paul and Laura Phillips Abbott says they are now nicely settled in a home with some American furniture. Paul is learning to take over all his duties and soon will be in charge. Our sympathy to them both, however, for their second son died of pneumonia when he was a few weeks old." AQ February 1940: "Another charming letter from Paul and Laura Phillips Abbott. They are now 'home', busy teaching singing among many other things. Charlie is three, and is speaking two languages." AQ February 1941: "Paul and Laura Phillips Abbott are now in the states, having returned, accompanied by their son Charles, and a new daughter, Eleanor. Eleanor is a twin but Eilene lived only a short time. We are glad to have them back all safe." 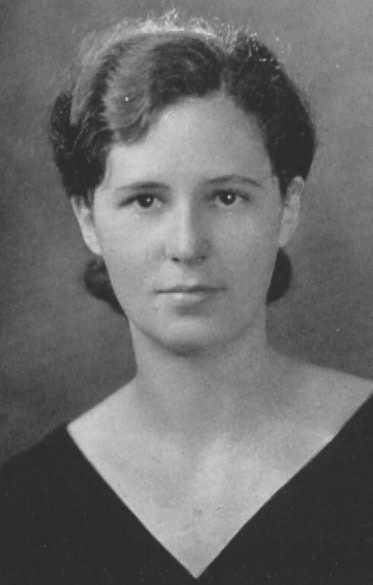 AQ November 1943: "Laura Phillips Abbott and her husband returned from South America during the late spring, and Mr. Abbott has taken a stated supply at the College Avenue Church, Alton, Illinois, until they can return to China." AQ February 1947: "Paul and Laura Phillips Abbott are in Alton, Illinois waiting to be sent to China as missionaries under the Independent Board for Presbyterian Missions." AQ May 1949: "Paul and Laura Phillips Abbott are now living in Barrington, New Jersey with their five children." The Abbott eventually had two more children. They never returned to China.